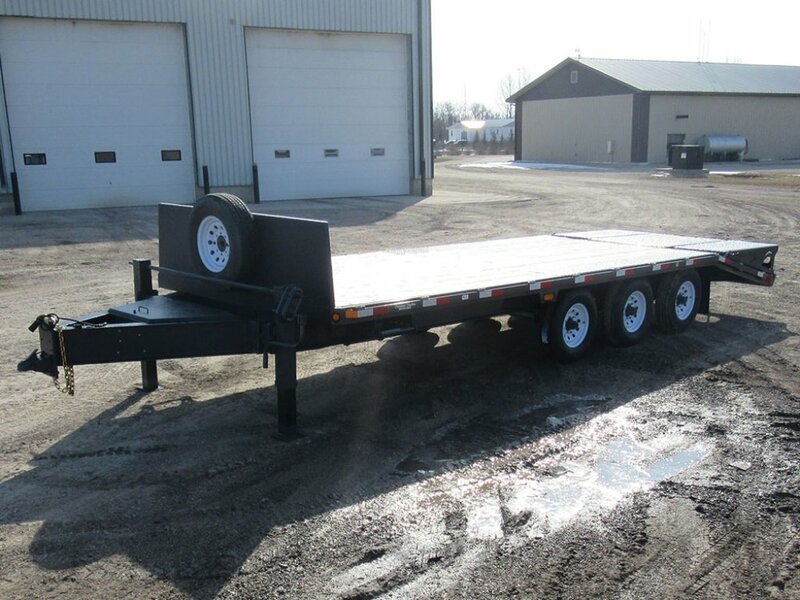 The Pintle Hitch trailer series delivers durability and reliability. 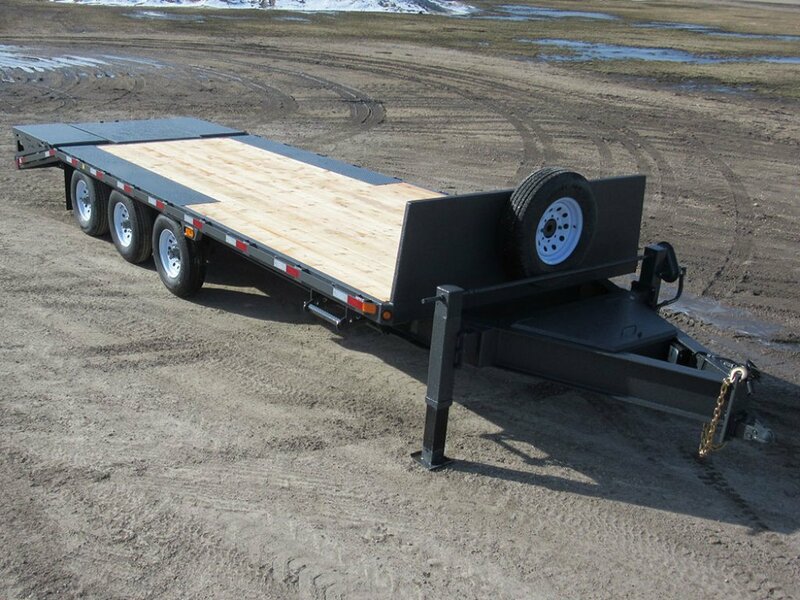 From general farm use to hotshot or heavy equipment hauling, Pintle Hitch trailers are available in a range of models to match your range of loads. 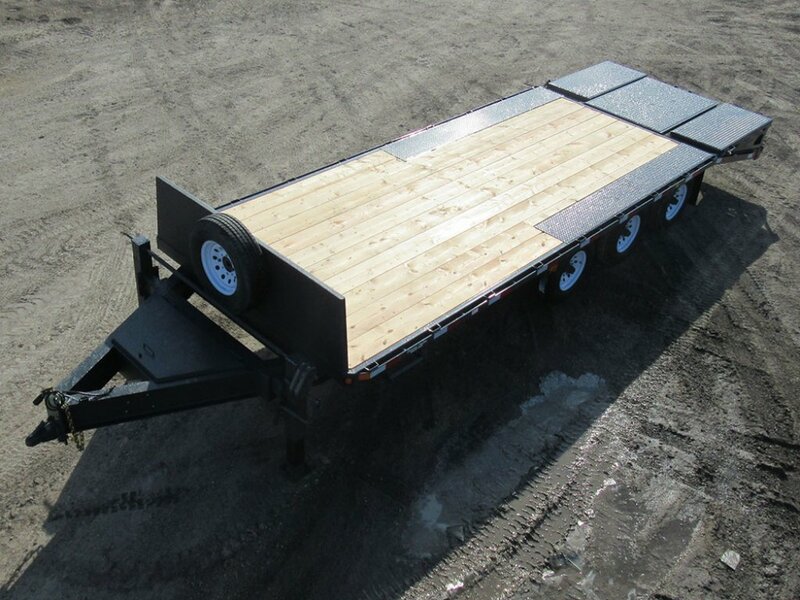 We offer axle combinations from 7000 lb. axles up to a 22.5K airbrake system. 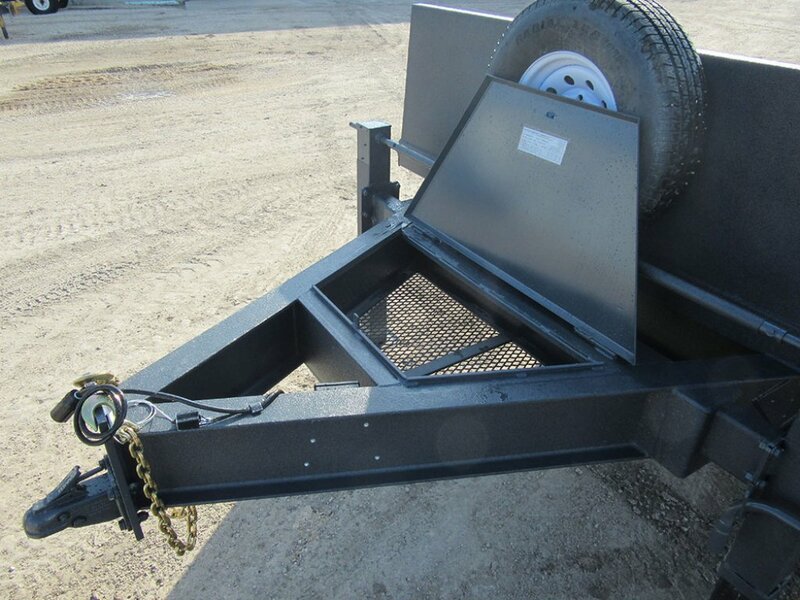 Our strong hitch makes for smooth, easy pulling across fields or down highways. 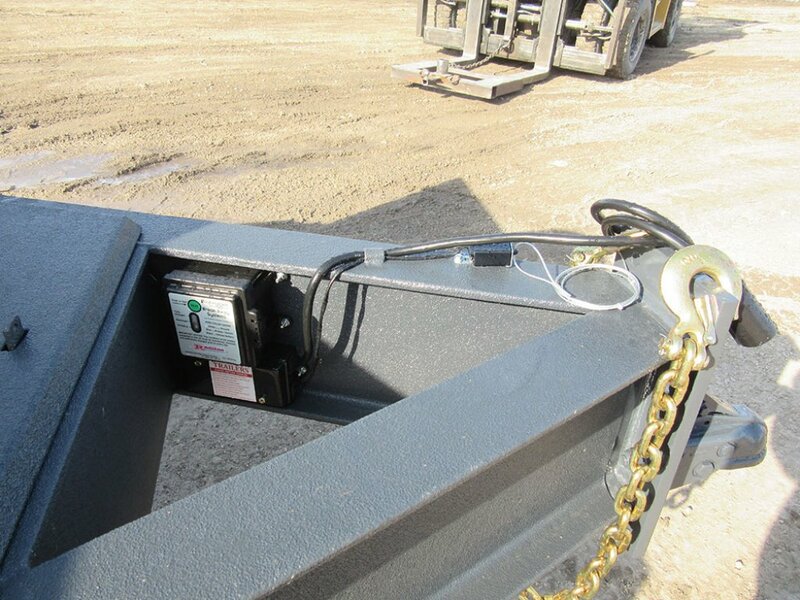 The Pintle series trailer, like all Precision Trailers, uses Voltflex wiring harnesses on most of the models. These are soldered, then heat shrunk. All wiring is well-protected inside our tubing trailer frame. 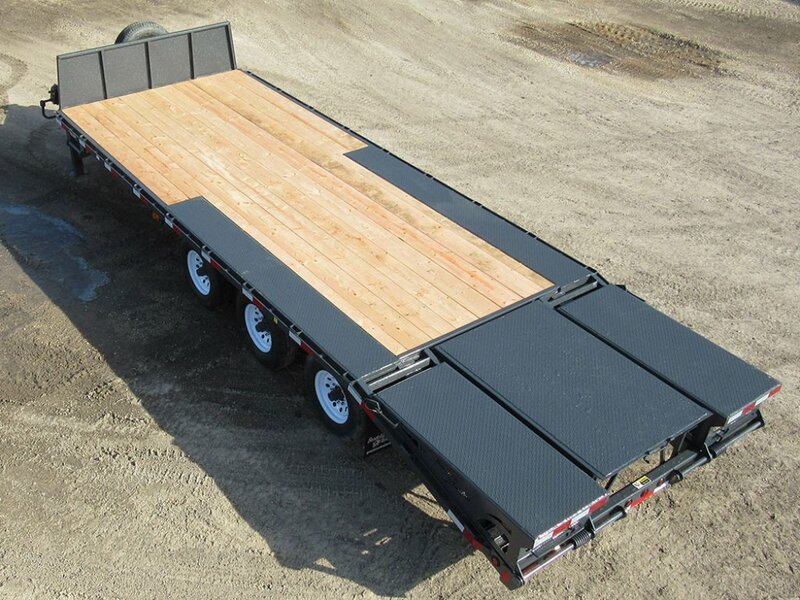 The cable is further protected by rubber hoses when passing through any holes in the framing, providing extensive protection to the trailer's wiring system. 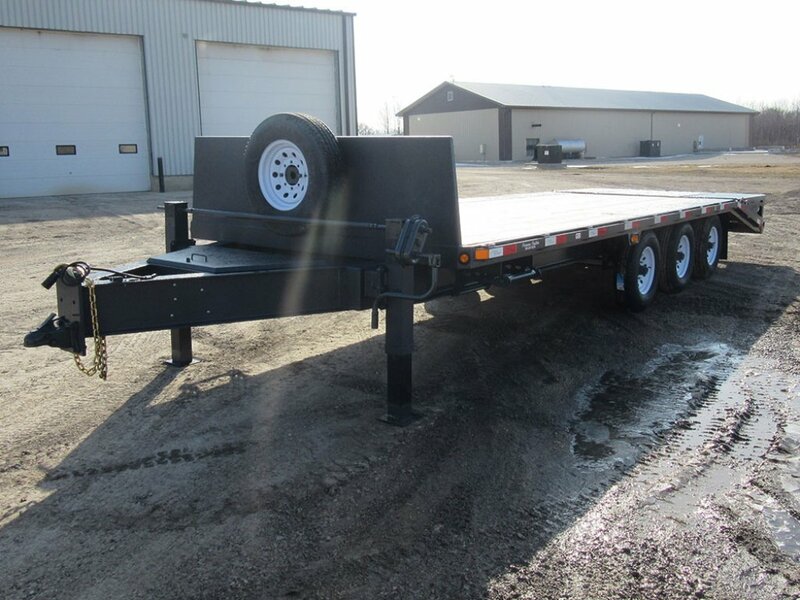 All Models come with features such as stake pockets with continuous rub rail and under deck tie down rail for added protection and load security.